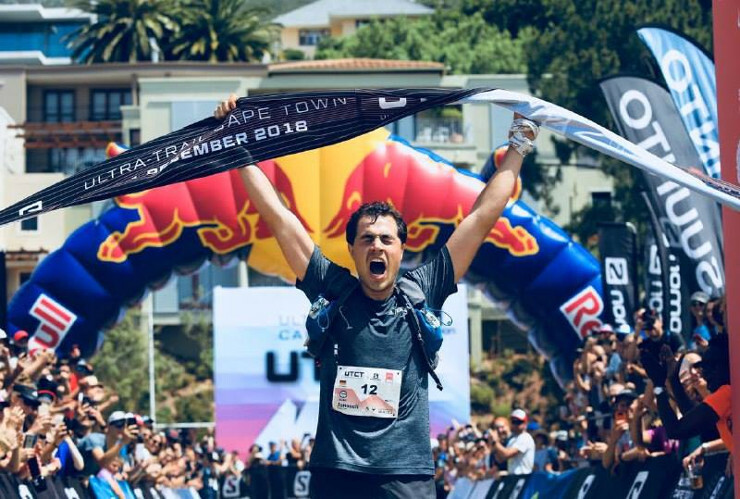 Janosch Kowalczyk won the 100km men’s trail run at the Ultra Trail Cape Town today. He finished the race in 10:22:00 to beat Elov Olsson (10:41:49) and Johan Lantz (10:46:24). Emily Hawgood led the women’s race home in 11:49:25. She was followed by Kerry-Ann Marshall (11:53:14) and Mimmi Kotka (11:57:02). The 65km men’s victory went to Bernard Rukadza when he finished in 7:03:20. Moritz Auf Der Heide came in second (7:15:24), followed by Quintin Honey (7:32:08). Camille Bruyas took the women’s victory in 8:08:14. She beat Liz Marshall (8:22:03) and Meryl Cooper (8:29:18) into second and third respectively.